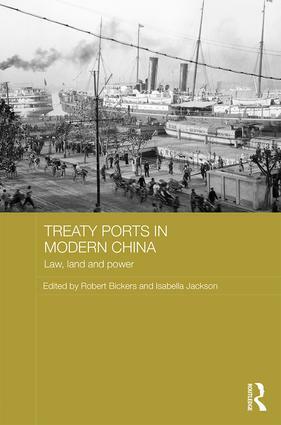 Treaty Ports in Modern China presents a wide range of new research on the Chinese treaty ports – the key strategic places on China’s coast where in the late nineteenth and twentieth centuries various foreign powers controlled, through "unequal treaties", whole cities or parts of cities, outside the jurisdiction of the Chinese authorities. The book's contributors include former PhD students in the Department of History, Isabella Jackson, now at Trinity College Dublin, who co-edited it, and Jonathan Howlett, now teaching at the University of York. Now a Lecturer at KCL, Chris Manias held a post-doctoral Research Associate position here, working on the Economic & Social Research Council funded project, 'Colonialism in Comparative Perspective: Tianjin under Nine Flags', from which this volume has emerged.